As the Philippines continues its drive towards inclusive growth, the convergence of technology and business plays an important role. Shell Philippines Exploration B.V. (SPEX) Asset Manager Baste Quiniones joined distinguished individuals from various industries in celebrating the fifth anniversary of the Department of Science and Technology’s Philippine Council for Industry, Energy and Emerging Technology Research and Development (DOST-PCIEERD). 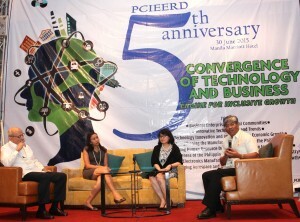 Themed “Convergence of Technology and Business: Engine for Inclusive Growth,” the event was held at the Manila Marriott Hotel in Pasay City on June 30. 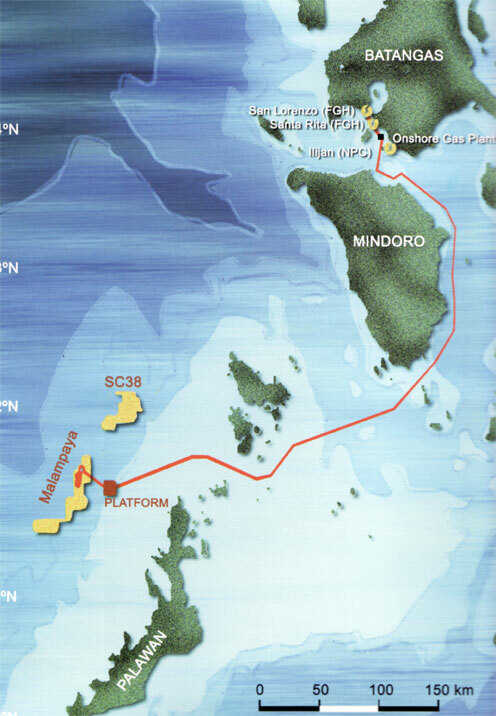 Focusing on technology innovation and investment for economic growth, Quiniones highlighted the historic contributions of the Malampaya Gas Project to the country. Through delivering clean and indigenous energy, the project effectively reduced the Philippines’ dependence on imported fuel while increasing revenues for the government. (From right) Quiniones joins Department of Trade and Industry’s Industry Development and Trade Policy Group Assistant Secretary Rafaelita Aldaba; G-Stuff General Manager Jen Deomano Santos; and Samahan Sa Pilipinas Ng Mga Industriyang Kimika President Jose Marcalain. Quiniones discussed how Shell operates the Malampaya facilities, highlighting its world-class standards, its deep-rooted culture for safety, and its continuous efforts towards sustainable development. Quiniones provided an overview of the next phases of development for Malampaya. Phase 2 is the drilling of two additional subsea wells while Phase 3 is the construction, hookup, commissioning, and startup of a second offshore platform. Focusing on Phase 3, Quiniones illustrated Filipino pride at its finest with the first-ever designing and construction of a gas platform in the country. He said that by focusing on local content and elevating the technical knowhow of Filipinos to global standards, the undertaking now puts the Philippines on the world map as a fabrication site for future oil and gas projects. Quiniones highlighted the cutting-edge innovation of the new platform—from its self-installing technology to its capability to withstand typhoons.